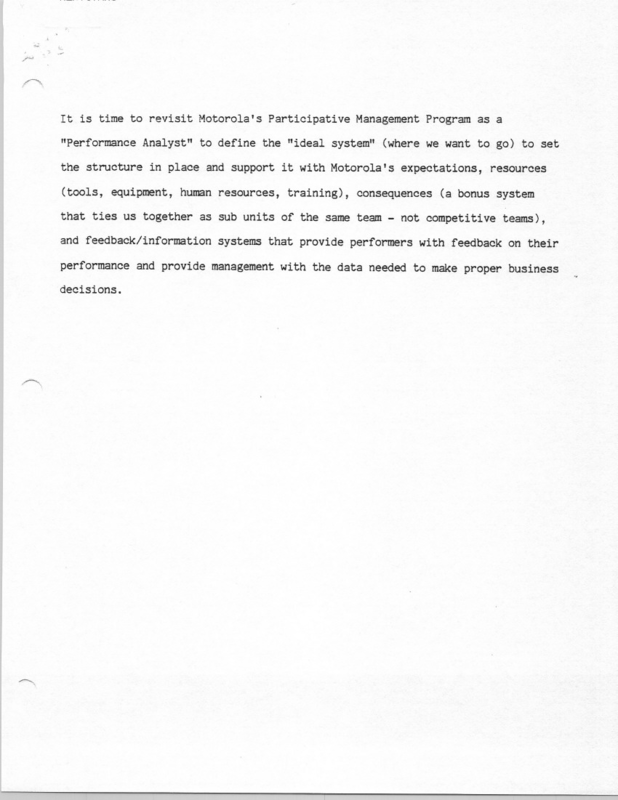 MTEC White Paper 1982 – 39 page PDF – a white paper I wrote while at MTEC – Motorola’s Training & Education Center – in May 1982 where I proposed combining the concepts, models, methods, processes, tools and techniques of Geary Rummler, Neil Rackham (of SPIN Selling fame) and of Deming, Juran and Crosby (and other quality gurus). This led to my boss taking that idea and changing it to become a Geary Rummler Do-It-Yourself Consulting Kit – which after I left in October 1982 became the training course created by Geary Rummler called OPS (Organization Performance Systems) – that later morphed into what became Six Sigma at Motorola. Most don’t know and appreciate that Six Sigma … which Motorola created after buying the rights to the Rummler’s IP within OPS which was the DIY GRC Kit … and blended the tools of TQM in a Rummler Process Orientation… sourced from both the wide world of TQM in the mid-1980s and the Rummler methods and tools, from his process improvement approach. 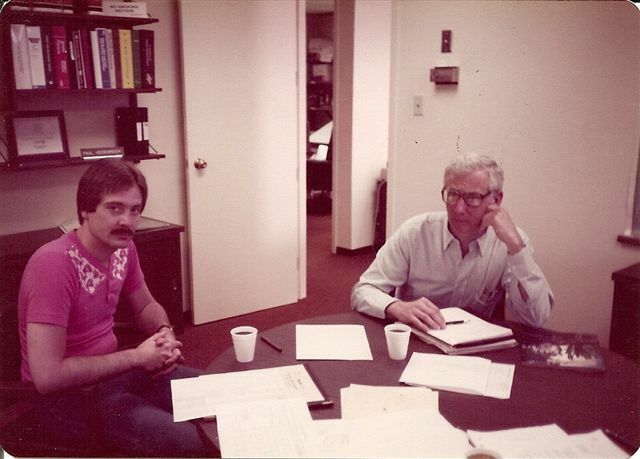 That story is told here… by my former colleague at MTEC, Alan Ramias… who took over my Rummler Motorola Training & Education Center projects – with Rummler – when I left MTEC to join Ray Svenson in his consulting business … back in November of 1982. Alan later worked with Geary at Rummler Brache and again at The Performance Design Lab. I had been encouraging Alan to write this story so that Rummler would get the credit he deserved. And – Rummler was working at GE as well as at Motorola – which is why it also took off at GE. The late Geary Rummler was one of my main mentors. 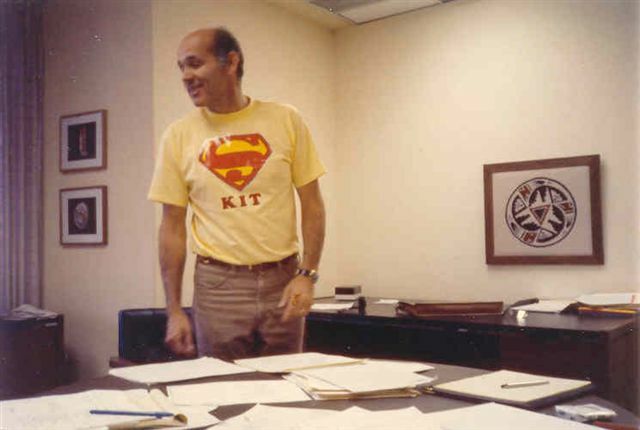 Working with him a on a dozen or so projects in 1981 and 1982 – along with Carol Panza, one of his associates back in the day… was informative to say the least. It was Career Changing to tell the truth. Here is Geary doing one of my HPT Podcasts from 2008 at the ISPI Conference in NYC. He had told me then that he’d do a 2-hour interview with me the next year, but he passed away before that next conference. 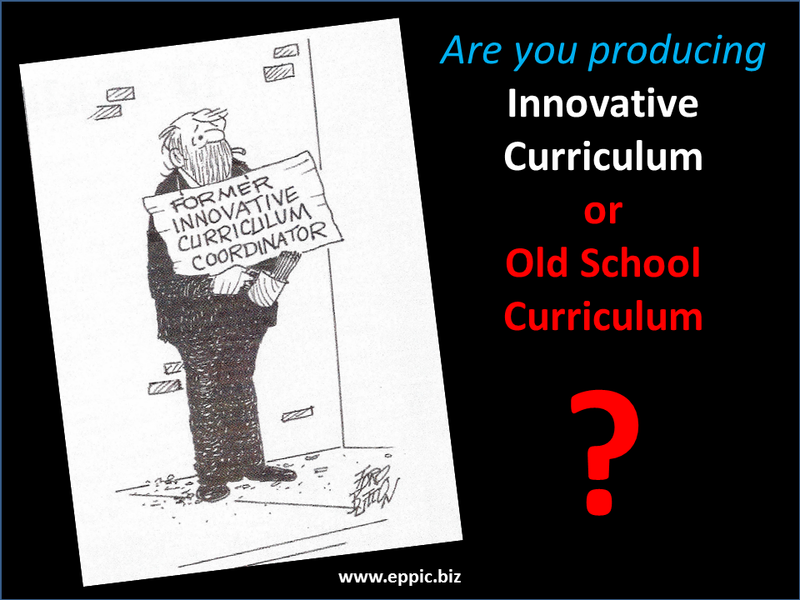 My exposure at MTEC to many of the quality gurus such as Deming, Juran, Crosby, Dewar and others – plus exposure to the thinking of Neil Rackam … was also influential beyond measure. Also my exposure to Rummler, Gilbert, Mager and Harless at Wickes Lumber in Saginaw MI before my time at MTEC. 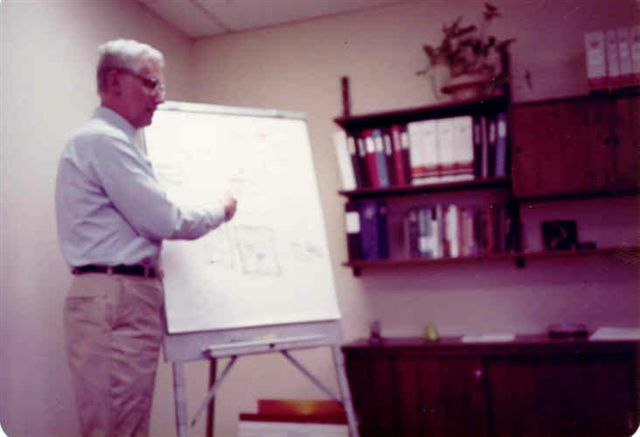 Motorola was … where I learned about Stats and X-Bar R Control Charts and the 7 basic quality tools. The whole TQM thing. 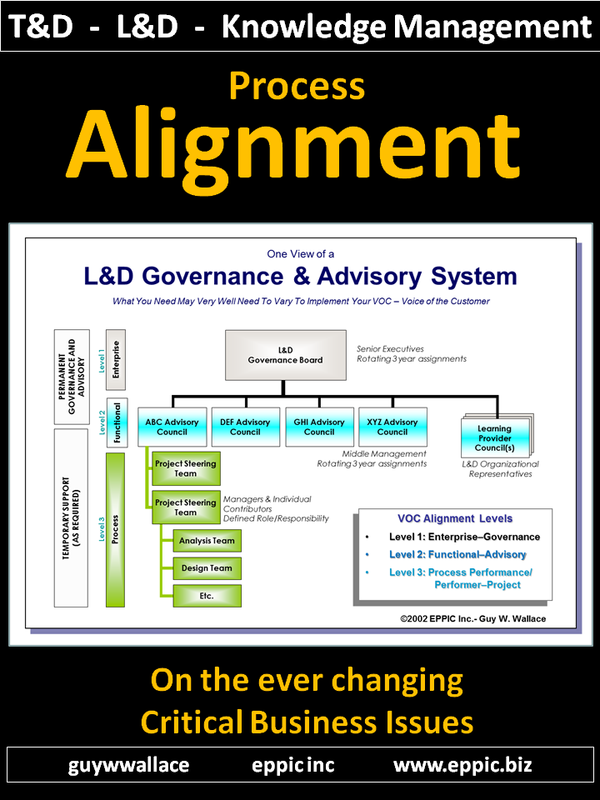 Which needed structure – IMO – way back then – that Six Sigma later provided. 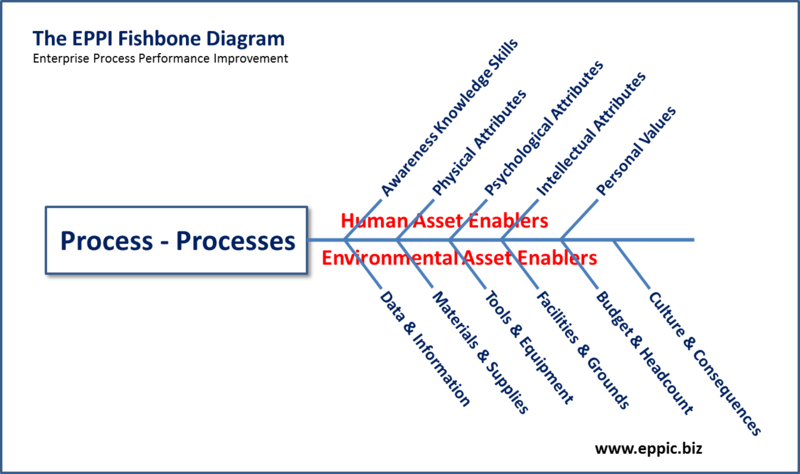 It was the Rummler process-orientation that made Six Sigma something that could be practiced, with tolerable variation in each application effort. In my view anyway, it was Robust to the variations in the client’s and stakeholders’ situation. 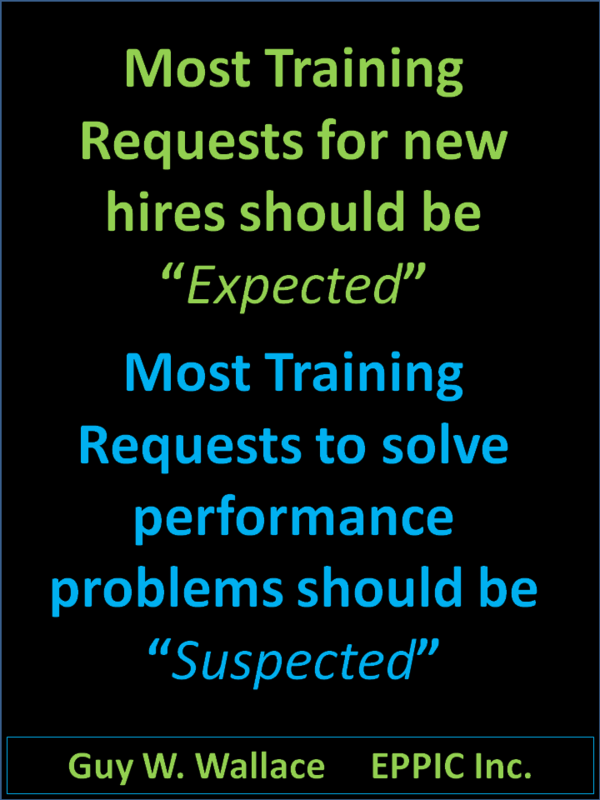 But then many started to use it when it was the wrong hammer for that bolt… such as when the root cause of a performance gap is really favoritism between the manager and one employee, causing everyone else’s performance to suffer. 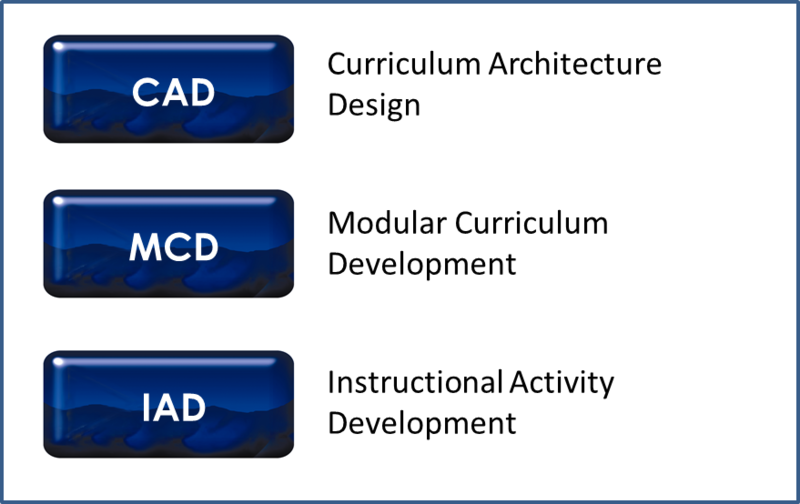 Six Sigma isn’t going to get to that root, except by the wide eyed and open minded Belt thinking and practicing outside THAT particular box’s parameters. And are so much more complicated in defining Needs or Gaps from Needs – and then there are Wants. The Customer Is King – Not! 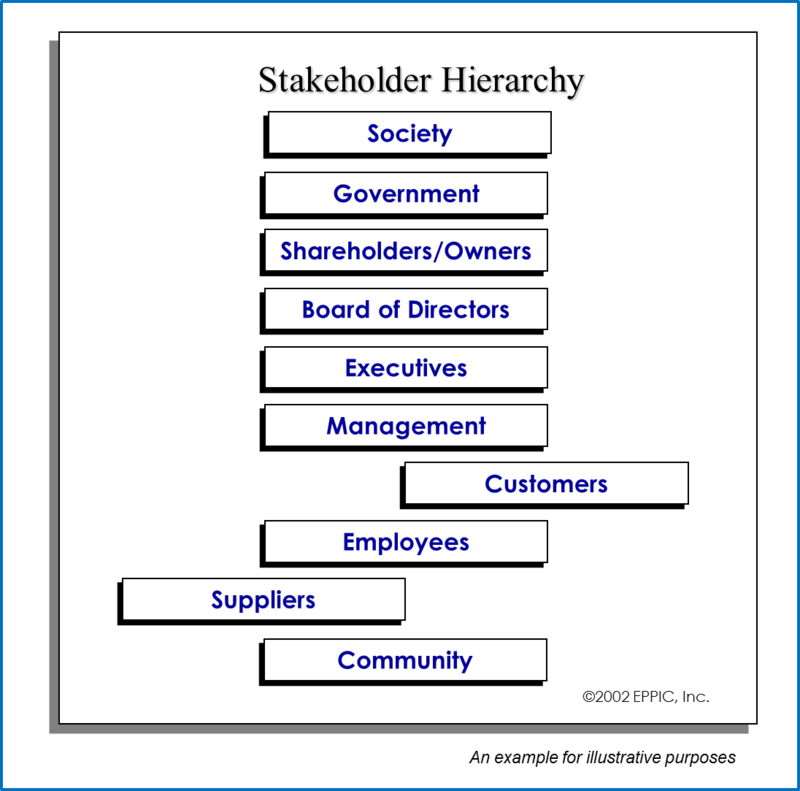 – 15 page PDF – the original version of the article published in the Journal for Quality and Participation in March 1995 – address Balancing Conflicting Stakeholder Requirements, and suggests that the Customer is Not the King of Stakeholders (despite the unfortunate slogans from the Quality movement despite Deming’s admonitions about slogans). 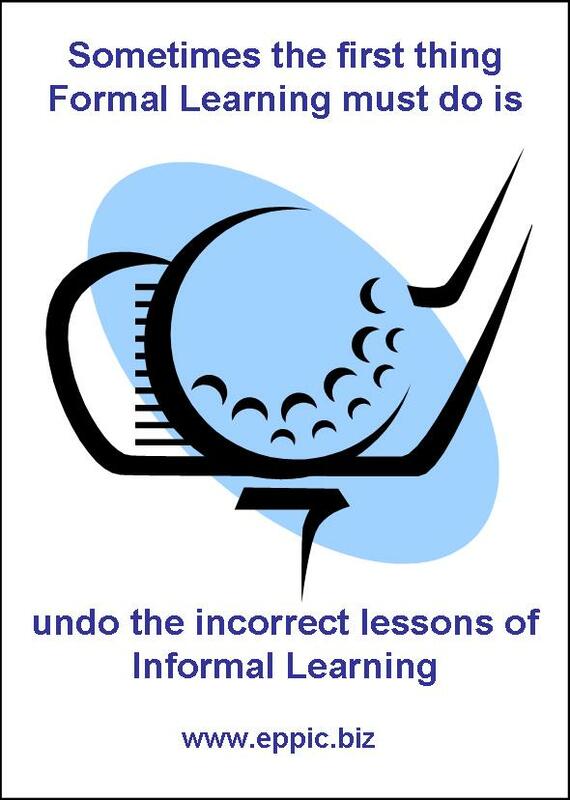 It was all Informal Learning before there was any Formal Learning. 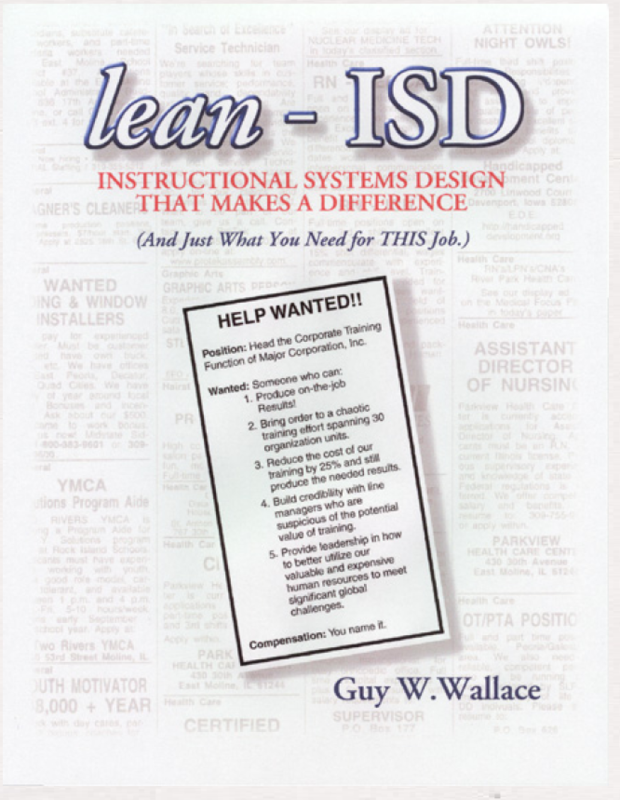 Note: this 1999 book was made available as a FREE 410 page PDF in 2007 with some slight updates – here. But – what’s the cost of your printing and binding? For other reviews from 1999 including one from the late Geary A. Rummler (who re-designed the book cover), and one from Miki Lane, Judy Hale, Jim Russell, and John Swinney – please go – here. This is too complex to comment on in detail but I will make a few observations. His historical perspective is as significant for what he has left out as to what he has included. I have no problem with those he has mentioned but there were some very important features in the full history that were not only significant but without which none if this might have happened. For example and there are others, I am truncating this or it would go on for pages: MITI, they refused to give export licences to anyone unless they were practicing and delivering the most exacting standards of quality performance, they were ruthless about this in the 1950s and 1960’s in order to destroy Japan’s then reputation for being ‘junk merchants to the World, JUSE who promoted the Deming Prize and were and still are QC Circle Headquarters in Japan. 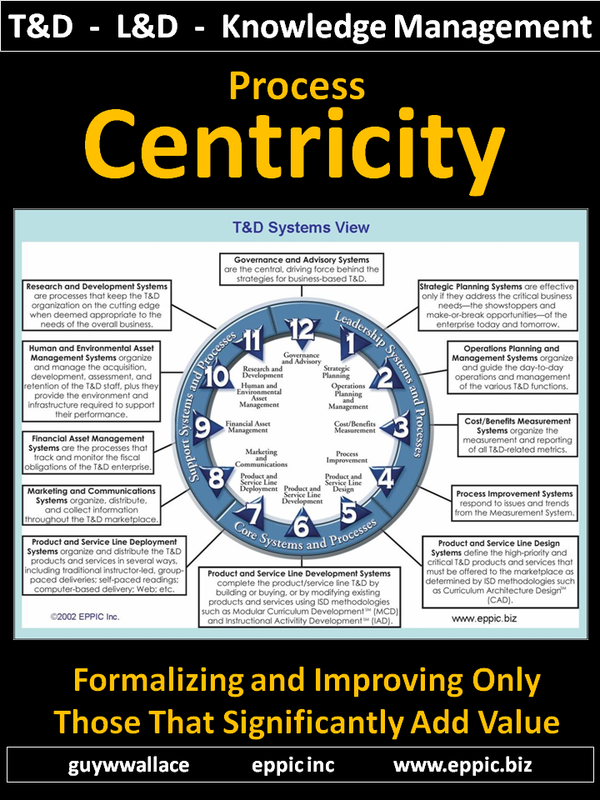 If they did not have Quality Circles or something like it, none of the Lean stuff or Six Sigma would have emerged. The Japanese were using all of the tools in Six Sigma at least a decade before the term Six Sigma was even dreamed of. I have files from a Japanese Car Battery manufacturer that I was given in 1982 that demonstrated a project carried out by their industrial engineers which used DOE plus all of the tools used in QFD to design an improvement as it was innovative, the Japanese refer to QFD as the 7 Management Tools. Professor Ishikawa and the invention of TQM and Hoshin Kanri, the terrible labour unrest in Japan during the 1950s where in one case Nissan had a six month strike in which the managers locked themselves in to the factory for 47 days and nights with the workers on the outside trying to break in. Dr Juran told them why it was happening and they listened to him! It was the Taylor System as he described it. Dr Taguchi whose Quadratic Loss function was game changing in the elevation of the statistical method. 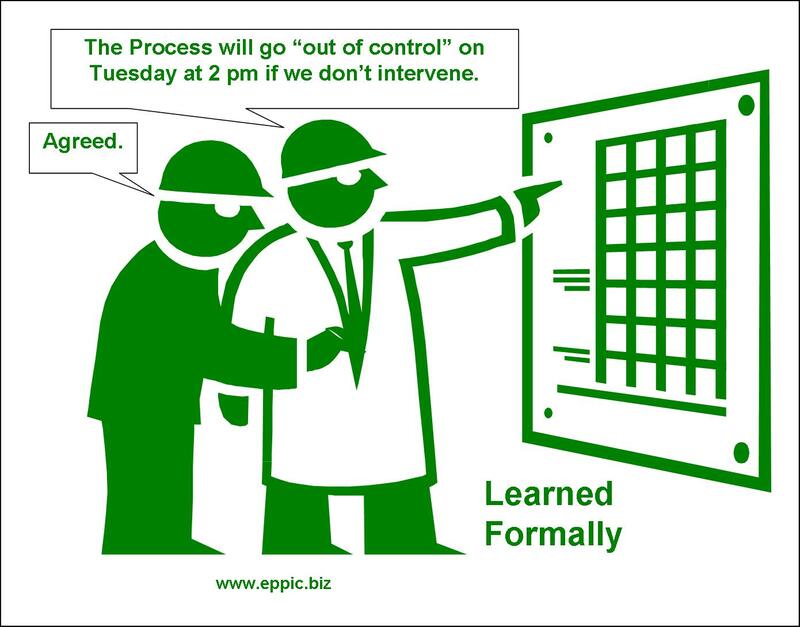 The Japanese Plant Maintenance Society whose innovation 6 Sigma then, Single Minute Die Change concept led to the Kanban system and eventually to what the West calls ‘Lean’ and erroneously attributes to Toyota. Toyota was significant because it took these concepts on board very quickly as did many others but they did not invent much of it. It is a very very complex story and to attribute it to any single progression of individuals is ludicrous. David, thanks for your comment. Which I found to be more of a rant, quite frankly, as no one did what you claimed: “… attribute it to any single progression of individuals …” Six Sigma did not create any new tools. It created “a process” for using those tools – which was lacking. 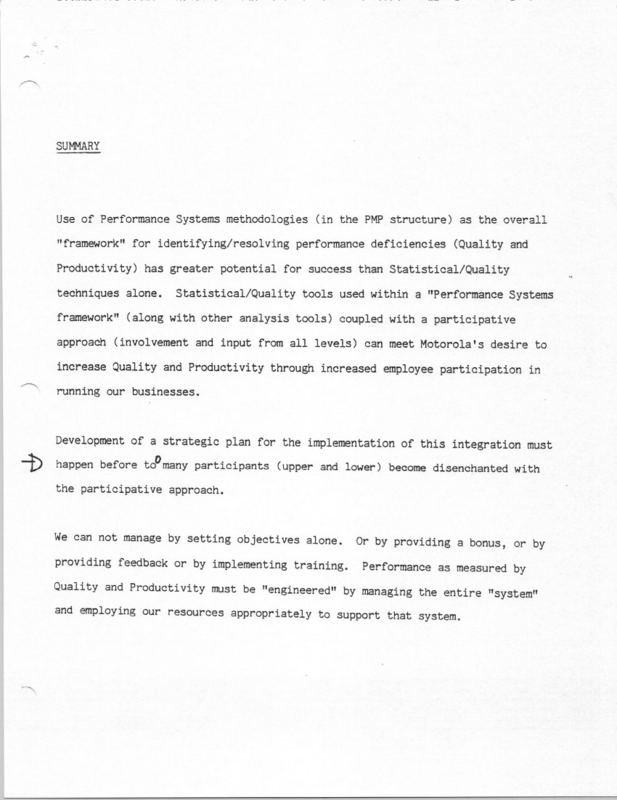 This was about how Six Sigma – created at Motorola – came about. 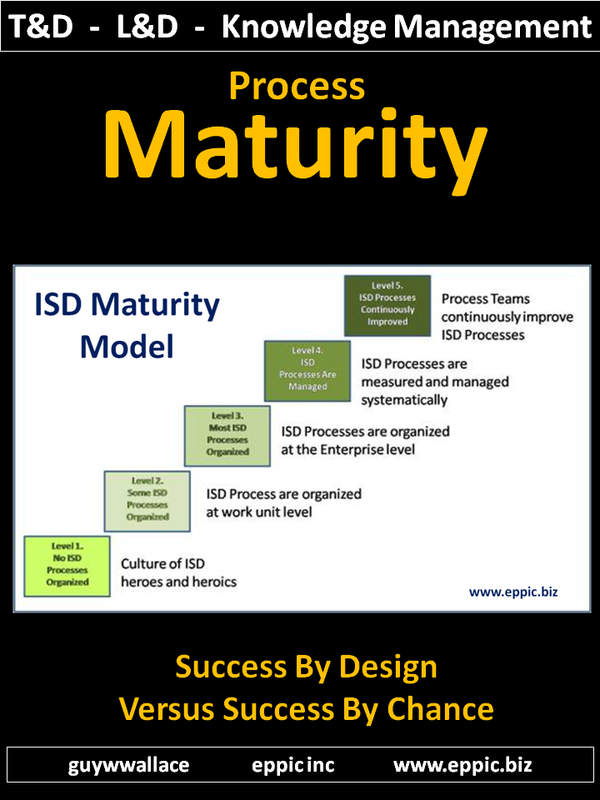 From the people who were there at MTEC/Motorola University – and bought Geary Rummler’s IP – as that was what “the process” (Six Sigma) was created from. And, historically, most of what happened (not all) quality-wise in Japan actually came from Western Electric (Ma Bell) starting with Shewhart in the 1920s. And if we’re going to name some of the others from those early days, let us not forget Bonnie Small who captured much of what was going on at Western Electric, quality-wise during WWII. But, thanks for your comment/rant. I guess.